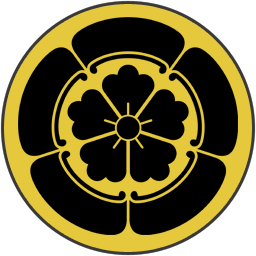 From his castle in Owari, the warlord Oda Nobuhide commands a clan with a formidable reputation. His Oda clan are masters of the strategy of using ashigaru: common soldiers who are a growing part of Japanese warfare. The Oda can recruit better troops of this kind cheaper than anyone else. They are also a warlike folk, and have even turned on each other in the past. Now, however, they face external threats: the Saito clan to the north, the Tokugawa and the Imagawa clans in the east. If they can beat these enemies, then an Oda daimyo may yet call himself shogun, and rule Japan!